An interesting approach in package design drops imagery and uses only color in an attempt to create a certain response in the consumer. 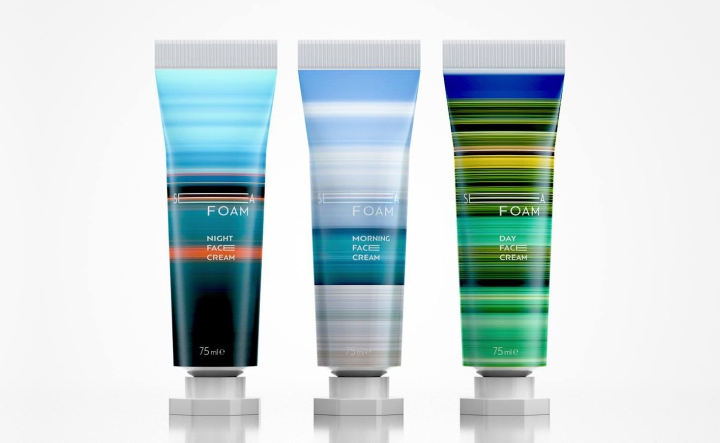 The packages created by Tanya Farba for the Seam Foam cosmetic series take the colors of the beach at different times of the day and places them on face cream tubes. The result is a look that has the consistency and charm of a warm memory. It is this way that memories come to life – hanging only on an aroma, a fleeting color, a certain movement or gesture, all cleaned of superfluous details. 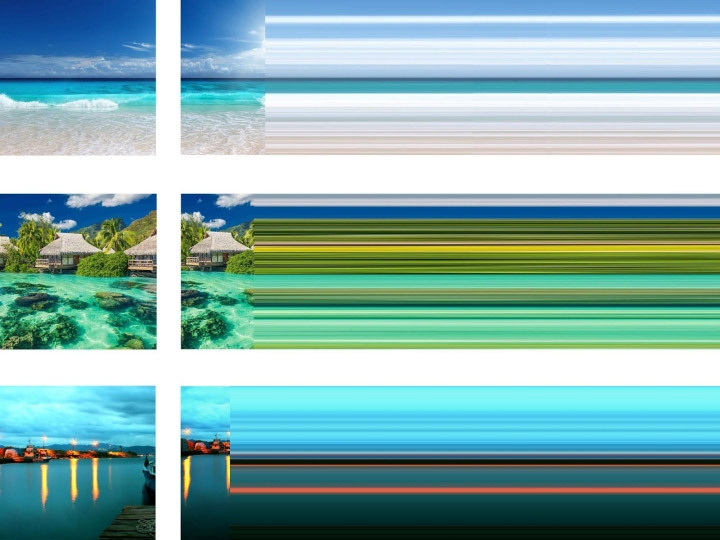 This simplified version of a summer beach picture, from which everything but color has been removed, brings out an instinctive response in the consumer. It is only fitting that the Sea Foam slogan is “Spread a moment of happiness!” and its goal to help the consumer prolong the cherished moments of relaxation spent on the beach. 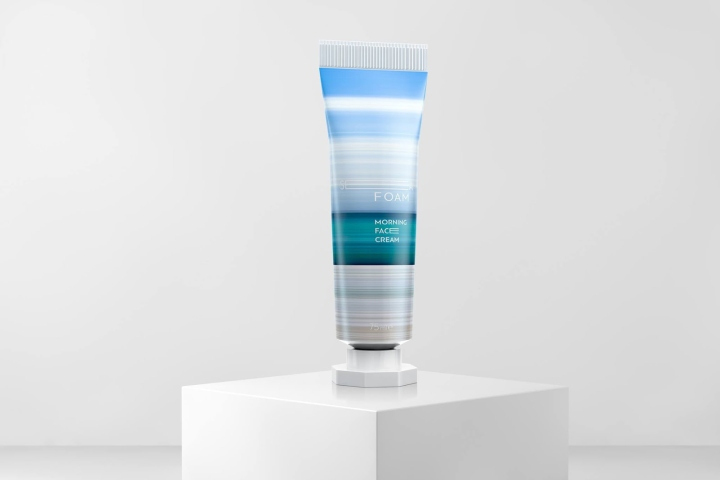 The alternation of colors comes from “spreading” the tones and hues of the seascape onto the lotion tubes and creating a series of colorful lines of varying widths that seem to “prolong” these moments of beauty. Even the brand’s first letters enact the same idea. This play on words is not lost on the perceptive consumer. It also makes the package design and branding efforts look consistent and cohesive. In addition, this detail gives the buyer a subtle hint on how this design came to be. 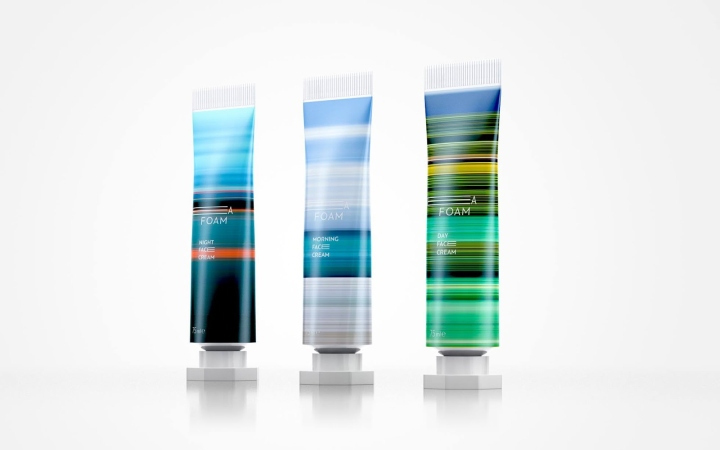 The colors of the face lotion containers are those of the time of the day that the face cream targets. 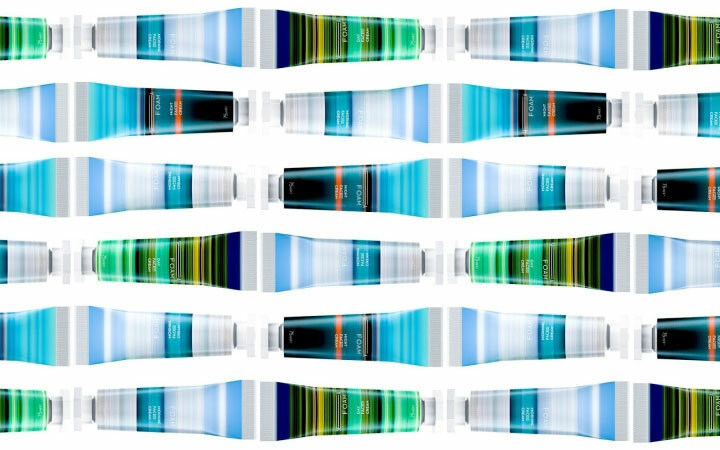 Bright, fresh tones for a morning lotion. 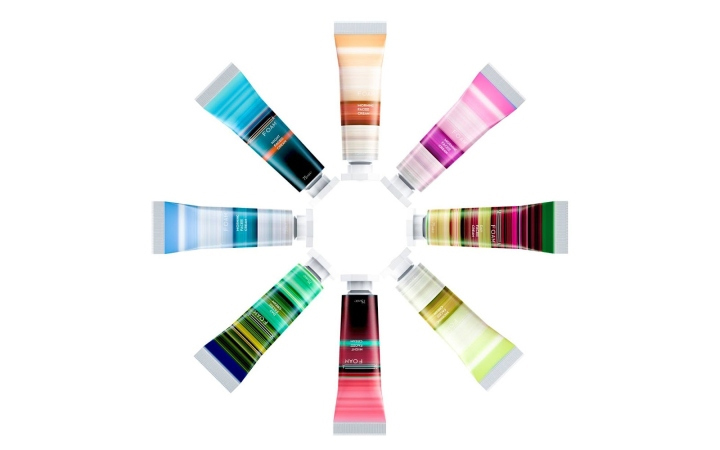 Vibrant hues for a day cream. Deep, warm ones for a night product. While apparently a simple package design concept, this is a well-thought idea that doesn’t leave anything to chance.